I remember getting the phone call: the first time I heard about AMI. I remember thinking “not another consultant”! However, I decided to go through with the exploration, data gathering and the interview meeting. I was desperate to turn things around in my practice, especially after trying for 2 years on my own without any success. 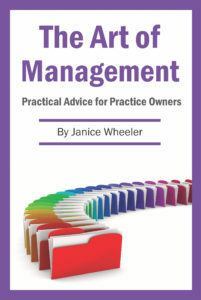 I fell in love with the idea of empowering and educating practice owners to become better managers and more successful practitioners. The process was unique and I learned a lot about successfully running a business. Signing up was the best decision I ever made for myself, my staff and my practice. AMI has allowed me to understand how to set goals and achieve them without added stress or additional time commitment at the practice. I’m on my 5th year with AMI and my practice hasn’t stopped growing. We’ve added more staff and currently in the process of building more space.